This pic was taken in the wee hours of this morning while the world was still half asleep. That is my solar lantern that I picked up on my last trip. And I totally love it! I own two of them. They adorn my balcony garden and glow in a soft light as the night grows darker. Just looking at it brings serenity, peace and joy. Somethings are enjoyed subtly. Shail recently posted…What is your warning label? 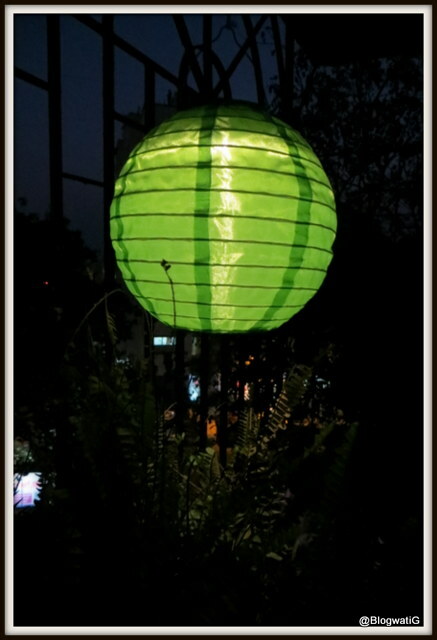 Beautiful lantern. I have a very sedate looking solar lantern. Totally salivating at the sight of yours :). Sigh! Sometimes we just give ourselves too much importance I feel and think that we are somehow carrying the entire earth on our shoulders. Like you rightly said, we must all aspire to shine for all we are worth and somehow the world just becomes nicer on its own. Nice thoughts. Very well, very succinctly put.Such a pretty latern. Too bad some people miss the light and see only the darkness !